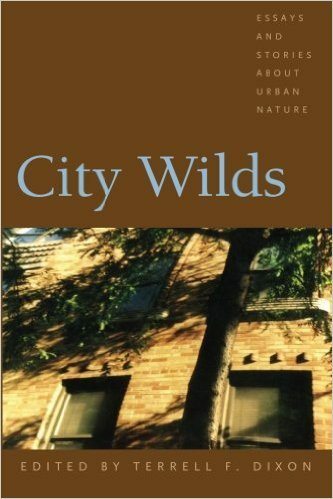 A review of City Wilds: Essays and Stories about Urban Nature by Terrell F. Dixon. 2002. The University of Georgia Press. ISBN: 978-0820323398. 336 pages. Buy the book. Writing this review came with a built-in challenge: Is an anthology, now almost 15 years old, worth a reader’s time and money? 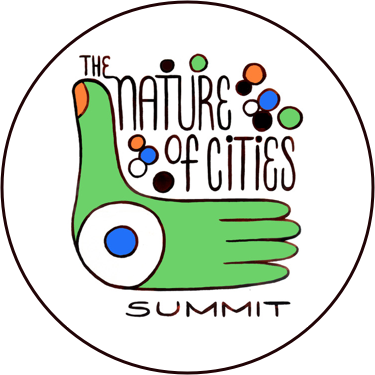 I assume that visitors to The Nature of Cities website have an interest—likely a deep professional one—in urban nature. So, we can clarify the question: What mix of qualities makes an older urban nature anthology worthwhile? City Wilds is a retrospective and an inspiration for aspiring urban nature writers, disclosing the diverse ways the story of a city can be told. First on our list of criteria should be the quality of the writing. City Wilds is certainly brimming with that. 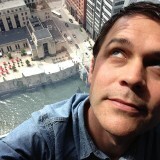 There is Michael Aaron Rockland’s “Big City Waters,” a tale about the author and his friend circumnavigating Manhattan by canoe, reminding readers that despite its monumental buildings, New York City “is a liquid place” of islands. There is Chet Raymo’s “The Silence,” which opens with a time-stopping near-death collision that unfolds into a series of ethereal reflections on the vacuum of space, the explosion of stars, and the transporting impacts of silence found in nearby nature. Two essays caused me to audibly exhale a wow after finishing the last sentence—Rebecca Johnson’s “New Moon over Roxbury,” a meditation on Black people’s relationships to land and the city as well as her own practice of astrological gardening (“If I worship at all, it is at the compost pile. It receives my most consistent offerings.”); and Helena Maria Viramontes’s “The Moths,” a beautifully disturbing story about a young girl’s final moments with her dying grandmother and the intercessory role of moths. On the lighter side, Emily Hiestand’s “Zip-A-Dee-Do-Dah” is another stand out, full of wry observations about the goings-on of nesting blue jays—“the bird of the postmodern, of invention and recycling, of found art.” Among these and the many other excellent essays in the collection, Stephen Harrigan’s “The Soul of Treaty Oak” is masterful, a story that is equal parts murder mystery, mystical circus sideshow, and compassionate commentary about the human search for connection—in this case, with the venerable but beleaguered Treaty Oak in Austin, Texas, a being “older than almost any other living thing in Texas, and far older than the idea of Texas itself” that becomes a magnet for clashing values after the tree is intentionally poisoned. Another signifier for a strong collection of urban nature essays would be the breadth of its geographical and cultural scope. Are diverse perspectives included that shed light on the many ways of being human in particular places? Again, City Wilds hits the mark—or many marks. Essays in the book are “clustered” by geography, as editor Terrell F. Dixon notes, beginning with major cities in the Northeast and then taking us on a circuitous road trip around and through the country before arriving on the Pacific coast. Reading across these diverse regions, one gains a sense of how distinctive places inform the experience of urban nature. The multiculturalism of the book is also impressive, with familial customs and dynamics intersecting with neighborhood landmarks and comforting aromas emanating from kitchens. The essays do not shy from delving into the shadow side of difference. “Thank God It Snowed” by Ronald L. Fair packs an emotional wallop, as the author recalls the healing rains and snows of his childhood winters, weather that washed away “the gray grit-cloud that tried to remind us of our place in society,” providing relief and temporarily leveling the sins of neglect in a segregated Chicago. Many essays, in fact, return to vivid impressions of childhood, a time when local nature serves as the anchor of memory and transformation, from “the vacant lot that was the shortcut between worlds” (Denise Chávez, “Willow Game”) to large bodies of water “alternately tranquil and wild, changing colors like a mood ring” (Susan Power, “Chicago Waters”) to those secret spaces between buildings that are sites of comfort and life-changing points of reference “far away from where our mothers could find us” (Sandra Cisneros, “The Monkey Garden”). A final strength of this collection, one I wasn’t expecting, is the wide mix of genres—a reminder that a good nature story comes in many packages, from straightforward travel narrative to magical realism. The inclusion of fictional short stories adds a surprising layer of depth, pushing against the boundaries of conventional nature writing. 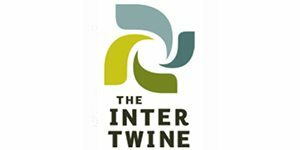 One of the more delightful of these is Richard Brautigan’s “The Cleveland Wrecking Yard”, in which the narrator visits a salvage shop for a piece of a “used” trout stream, sold by the foot and stacked in various lengths (waterfalls sold separately)—an effective satire of the commodification of nature and an affirmation of the unquantifiable value of a living river and its myriad ecological relationships. Taken as a whole, City Wilds is simultaneously a retrospective and an inspiration for aspiring urban nature writers, disclosing the diverse ways the story of a city can be told. Dixon deserves recognition for his prescience in assembling one of the first, if not the first, multi-author collections of such writings. With the exception of a few outliers in the volume (Dubkin, 1947; Brantigan, 1968; Fair, 1972), most of the essays were written in the 1990s, a period of time still characterized, Dixon observes, by the idea “that real nature stops at the city limits sign.” City Wilds, without necessarily aiming for it, is thus part history lesson, representing a moment when the fuzzy outlines of a new category of writing were emerging and the city began to be regarded as a worthy site of investigation. Good writing is good writing, and good writers are adept at transforming landscapes into breathing presences alongside their human characters. Yet Dixon points out some features that may distinguish urban nature writing from other types of nature-based stories. Urban nature writing tends to focus on accessible areas (“nearby nature”), nature at smaller scales (a single butterfly instead of the Grand Canyon), the humorous or comical rather than the death-defying (everyday experience), and themes of interdependent community rather than heroic self-reliance (how we relate rather than what we conquer or endure). Perhaps all nature writing reckons with being human among other creatures, but urban nature writing lingers on the small-scale dramas of inhabiting place. The essays underscore this point, showing just how formative those everyday experiences are to our sense of personal identity, community, and care for the more-than-human world. Plucked like pigeon feathers from city alleys, slugs from garden leaves, and caddis-fly nymphs from the shallows of recovering urban rivers, the stories in City Wilds reveal again and again the small revelations that await us in the spaces we may consider the most ordinary and homey. Is this anthology worth your time? Yes. Emphatically. If you have any interest in urban nature writing whatsoever—in reading about cities, in writing about cities, in understanding the human capacity to interact and engage with other species—this book should be on your shelf, dog-eared and underlined. Take it on the subway. Bring it onto the balcony of your high-rise apartment. Cozy into a weathered bench in a pocket park, allowing the chatter of birds and squirrels to envelop you, and look up every once in a while, between essays, to see for yourself if the city doesn’t seem to sparkle more because of the book in your hands. Beautifully written essay, Gavin. This should be included with any future edition of City Wilds. And thanks for the nod!